Today I'm grateful for health. Sometimes we can take so much for granted, we don't realize we have something until it's GONE! Waking up everyday, breathing on your own, being pain free is something to be celebrated! Something to praise God about. Even if you didn't have anything else... Health is enough! This is hitting close to home for me, and I'm totally preaching to myself. I have been focusing so much on all the things that are going wrong in my life and forgetting the ones that are going RIGHT. This week only I have gotten report of 5 people in my inner circle who have just been diagnose with some form of cancer (Let me just say cancer can kick rocks). Two of which are undergoing major surgery today. Join me in prayer for them today! We are no better than they are! I'm no better than they are! I didn't do anything to deserve being healthy. 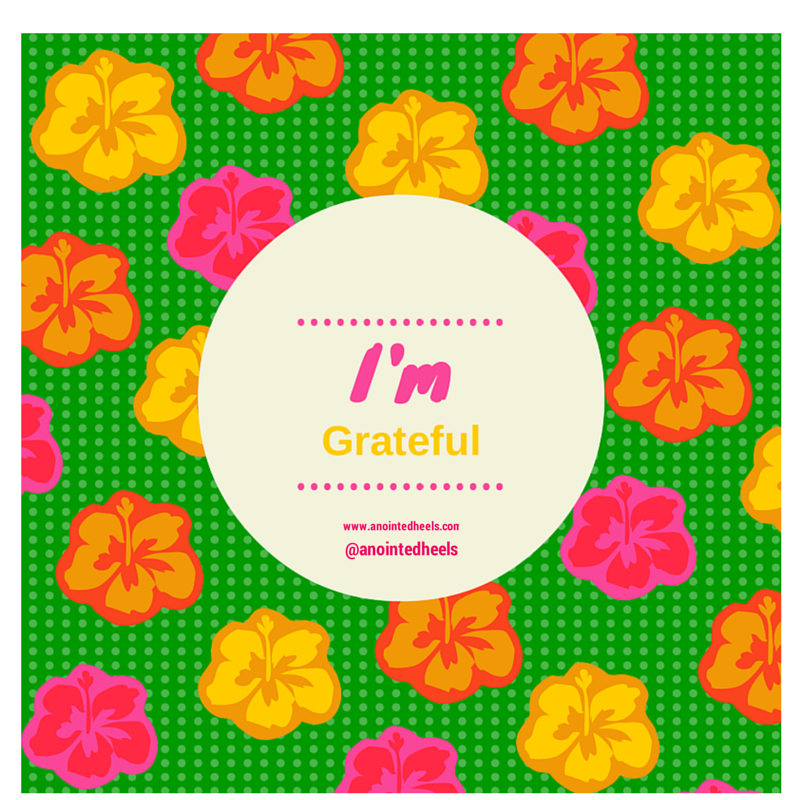 And for that I'm GRATEFUL! Let's not wait to appreciate what we have until it's gone. Wonderful, I definitely agree with you on being thankful for something or someone before it's/their are gone.